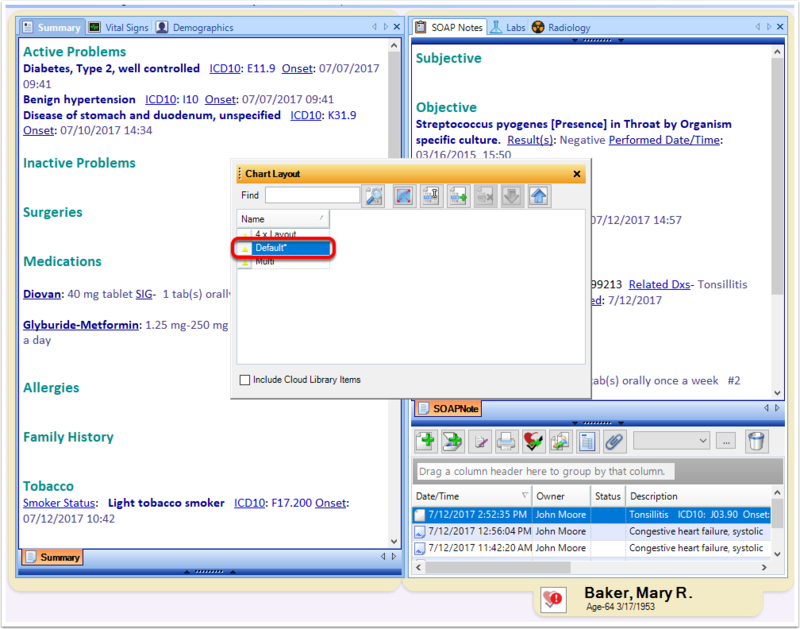 SOAPware DocumentationSOAPware FAQ'sFAQ's MiscellaneousQ: Why is my patients chart empty? A: A chart will appear empty if all of the chart sections have been closed. Clicking on the "X" located next to the chart section tabs, will close the active chart section. 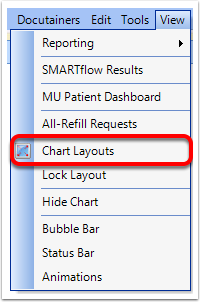 To restore the chart sections, click on View > Chart Layouts. Double click on the Default layout to bring back the default chart sections. Any additional chart sections can be opened from the Chart Navigator. Previous Lesson: Q: What are document demographics? 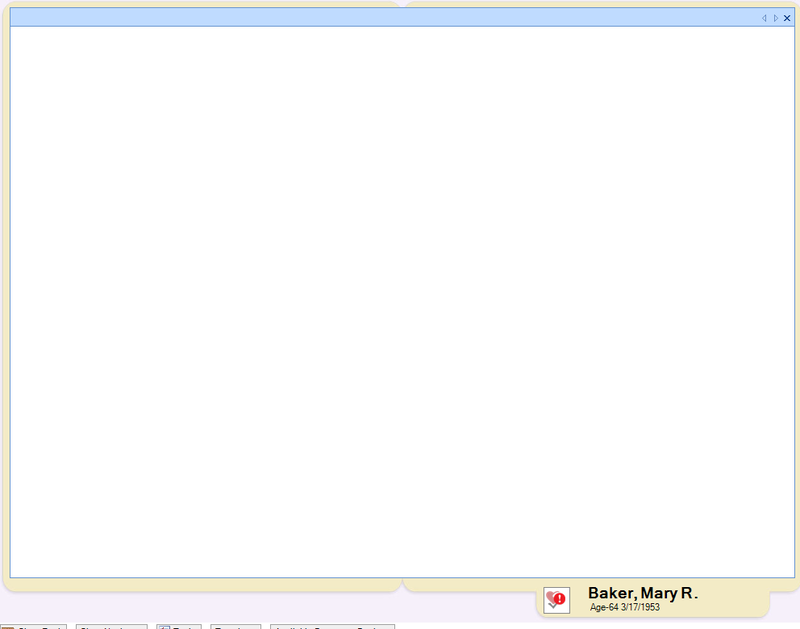 Next Lesson: Q: How do my nurses let me know when a patient is ready to been seen?